To get my students to grasp the true grit of politics and the real depth of history, I did three things. First, I taught the philosophy of politics: John Locke vs. Thomas Hobbes. The former believed “man is basically good” = Democrats. The latter believed “man is basically evil” = Republicans. Trust everyone and appeal to their better angels or assume the worst and design deterrent punishments accordingly. Think: death penalty, yes or no. Second, I would ask each student which side they believed. And, they were honest. Almost an even split. After which, I assigned the students to create, design, and implement campaign strategies for the opposite side of their choice. The Democrats had to design the Republican winning campaign and the Republicans needed to construct the Democrats’ winning strategy. How could they run a campaign for the side they hated? Hard, but not impossible. After designing the winning campaign, how would your side govern the country? That was the real test of maturity. They grumbled, looked confused, and then grouped together. The results were spectacular. The buzz words, speeches, commercials and strategies for winning the presidential election for the opposition they despised were spot on. Every team came up with a winning design. Why? Because they studied and learned to understand—and respect—the strengths of their opponent. They did not ridicule, dismiss, diminish or demonize the opposition, but respected and countered it. They upped their game and elevated the debate. Which is exactly what is needed this season. What are the opposing sides’ strengths? And, how does one govern after these brutal campaigns? For example, the liberal Democrat and filmmaker Michael Moore insists Trump will win. He vehemently opposes Trump, but understands his attraction for Republicans and Bernie Sanders voters. Turnout favors Trump team getting off the couch—law and order, gun rights, etc. To which, I would add growing disenchantment with eight years of unending and un-winning wars in the destabilized Middle East—with Turkey being the latest red flag. Both candidates are currently stuck in the mid-40 percent range. Both are also facing an almost evenly divided country—47 percent vs. 47 percent. 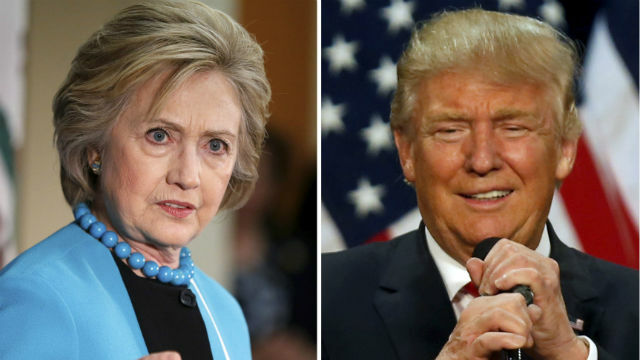 How might one of these presidential nominees break out, up their game and elevate the debate? In short, the “now what” answer to the questions. Not by chanting “lock her up”—at both conventions! Or by name calling the opposition “neo-Nazis” repeatedly. Or by fueling even more hate and venom each week, that pits police vs. citizens; seniors vs. youth; 1 percent vs. middle class and poor; immigrants vs. native born; black vs. white; etc. And especially not by “dissing” devastated small town America. If “everybody is right and it’s all true,” how does one design a campaign that is both winnable and intelligent enough to govern maturely in its aftermath? Or are the skills needed for a campaign the exact opposite of those needed to govern effectively? The best answer to “now what?” will determine the next President of the U.S.
Colleen O’Connor is a retired college history professor and native San Diegan.